#1. 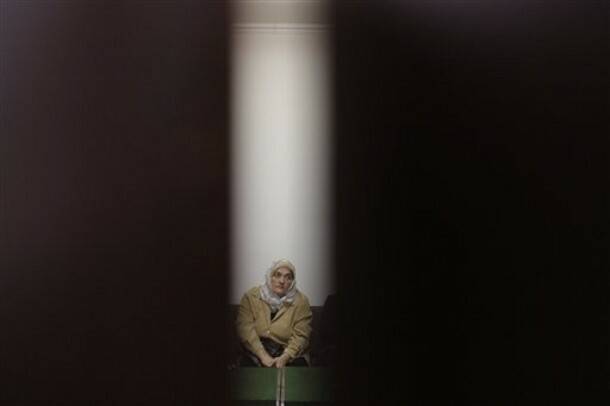 Bosnian Muslim woman Zumra Rizvić waits to identify remains of her relative after their identification by DNA methods at the Identification Center Tuzla, in northern Bosnian town of Tuzla on Nov. 9, 2010. An estimated 30,000 people went missing in the 1992-1995 Bosnian war, and some 10,000 people, mostly Bosnian Muslims, are still considered missing almost 15 years after the end of the war according to the International Committee for the Red Cross (ICRC). 2. 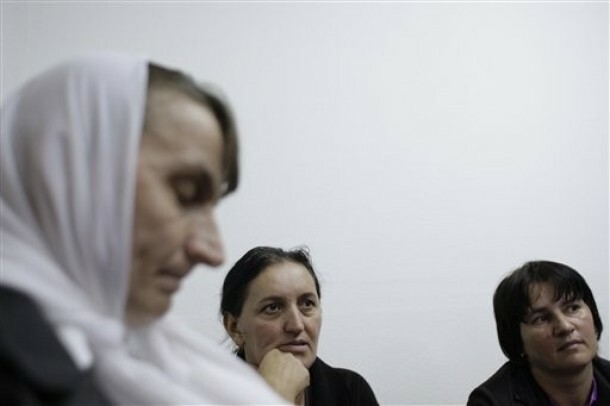 Bosnian Muslim women Rezija Mehic, left, Djula Alic, center, wait to identify remains of their relatives after identification by DNA method at the Identification Center Tuzla on Nov.9, 2010. 3. 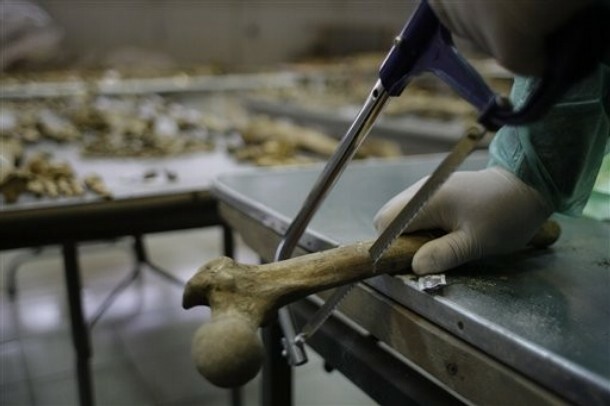 Bosnian worker takes samples from human bone for DNA identification at the Identification Center Tuzla on Tuesday, Nov. 9, 2010. 4. 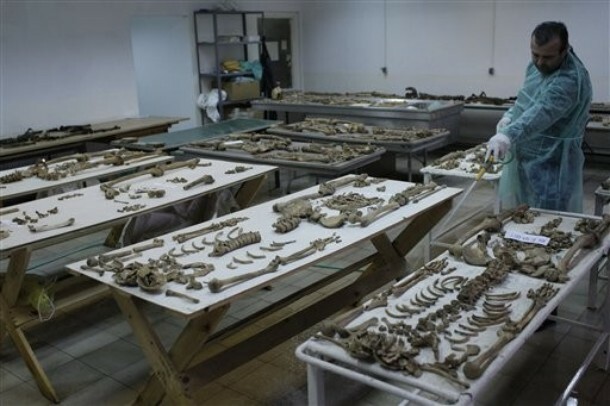 A Bosnian forensics expert cleans the room prior to taking samples for DNA identification at the Identification Center Tuzla on Nov. 9, 2010. 5. 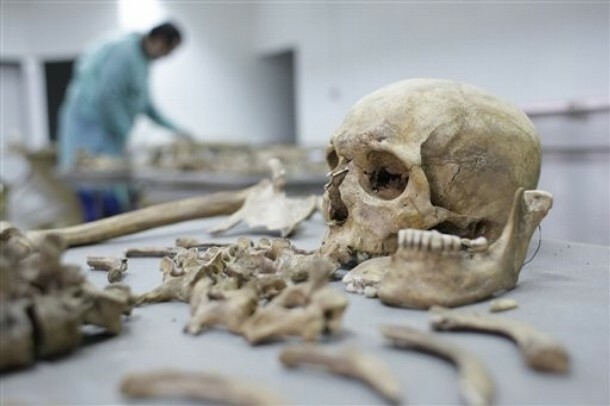 A Bosnian forensics expert takes samples for DNA identification at the Identification Center Tuzla on Tuesday, Nov. 09, 2010.